The Rocky Mountain Chapter geographic coverage includes all of Colorado. Please join us as we continue to focus on the collaboration and communication among our National Defense participants in Government, Industry, and Academia on subjects of mutual interest and concern. Our continued success is dependent on the dedication and participation of our corporate and individual member volunteers. Defense professionals need the right equipment to do their jobs. NDIA is the association for defense professionals. No matter what your role in the defense community – government, military, industry, academia – you need a source for knowledge, information, and contacts. You can rely on NDIA membership to meet that need. Corporate membership offers specific advantages for your company. Membership represents an investment in visibility and access. For small companies, dues average less than two dollars a day. Begin using NDIA membership as a source for knowledge, visibility, and advocacy by joining today. Is your company part of the defense industry? You can benefit greatly from an NDIA Membership! Choose from a Corporate Membership or an Individual Membership below! NDIA’s technical and policy symposia connect you to the core of the industry. By attending, you will meet and hear from the movers and shakers in the field, and you will increase contact with peers who share your company’s interests. Defense professionals from the public and private sectors rely on these programs for information straight from the experts and for making contacts in industry and government. When you and your colleagues attend NDIA symposia, you are eligible to register at member rates. 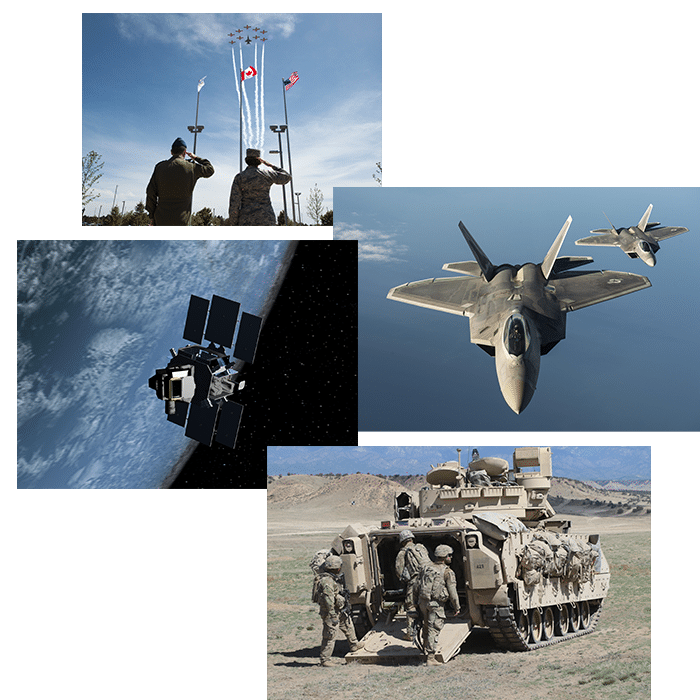 NDIA divisions, committees, and working groups are made up of volunteers representing their organizations and industries, focused on scientific, technical, policy and management disciplines of national defense. Participation is limited to representatives of corporate members. By choosing to take part, volunteers from your company might plan symposia, prepare studies and develop policy recommendations. Increase contacts with fellow experts in the field as a member. Sign up to receive targeted information in your areas of interest by filling out the form below. The more knowledge the individuals in your company have, the better they meet the needs of your customers. NDIA equips you with the information you can use. This electronic publication provides NDIA corporate members with the latest information on acquisition policy, business intelligence, and other defense-related issues. Membership keeps your company visible and recognizable to a targeted audience that includes prime contractors and military purchasers. Your capabilities and service information will be displayed in the online Mega Directory, a “who’s who” listing that puts your company name in front of defense community decision-makers. To ensure your company’s contacts in the national capital area are easy for prospective clients to find, list your Washington metropolitan area office in the Washington Offices Corporate Members Directory. Regardless of the business climate, defense spending, procurement, and acquisition always draw concerns. NDIA members know they have a place to voice concerns and an advocate in Washington to work with Congress and the executive branch on industry issues and to guide legislation and policy. The association serves as an advocate for broad issues. Examples include supporting the development of a national security strategy for the 21st Century, Department of Defense modernization, enhanced training and logistics, acquisition process improvement, export-control reform, and defense workforce revitalization. Members have access to National and Enterprise Rent-a-Car discounts. To book your car at the member rate, visit www.enterprise.com. Enter account number NA16Y72 and Pin NDI. Regardless of the business climate, defense spending, procurement, and acquisition always draw concerns. NDIA members know they have a place to voice concerns about issues and a champion in Washington to work with Congress and the executive branch on industry issues and to guide legislation and policy. The association serves as an advocate for broad issues. Examples include supporting the development of a national security strategy for the 21st century, Department of Defense modernization, better training, and logistics, acquisition process improvement, export-control reform and defense workforce revitalization. Committing to lifetime membership is a reliable way to stay in the defense industry mainstream. Plus, you will have the assurance of knowing you make a difference by helping the association influence future directions. When you become a life member, you associate yourself with an influential group of people who share your commitment to strengthening defense through industrial and technological prowess. Together, a stronger voice arises before the public and the government. You will be part of a select group committed for more than eight decades to the same values as yours. A special lapel pin and membership card to distinguish you as one of the association’s most committed members. NDIA’s president may confer allied individual membership on individuals who are citizens of (1) Nations belonging to NATO; (2) Japan, Australia or New Zealand; (3) Nations with which the United States maintains a reciprocal procurement agreement; (4) Nations with which the US Department of Defense has specifically requested the association to conduct meetings and improve communications on an industry-to-industry basis. Allied individual members may participate as non-voting members in the activities of NDIA chapters, subject to any restrictions that may be placed on such participation by the US government. In chapters located outside of the 50 states, allied members may participate as individual voting members in chapter activities.